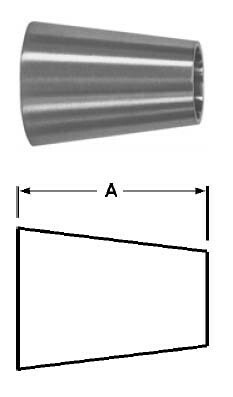 # SANB31W-R400300U - Tube OD Weld Concentric Reducers - 316L Stainless Steel - 4 in. x 3 in. Tube O.D. 4 in. x 3 in.